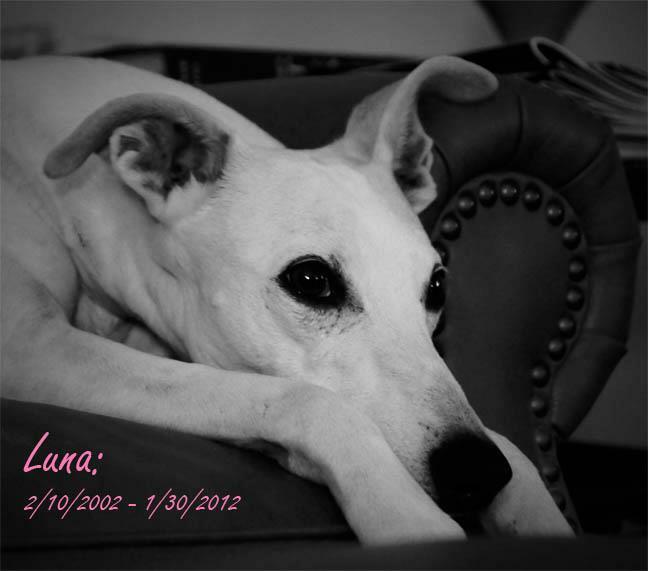 Luna was our beloved girl. She was a mother of four, including Snoopy. She died in January 2012 of cancer. 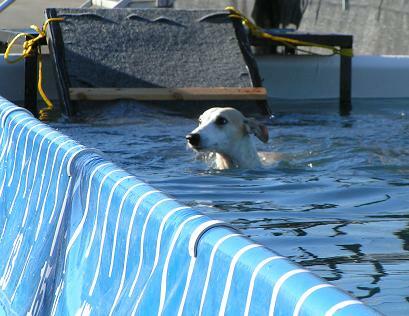 Luna's foray into the waterdog world. She liked water, just not the audience.